Incredible value! This kit contains all of the tools needed to wash windows. There are 3 different sizes of squeegees and two sizes of washers included so that all sizes of windows can be cleaned. Package includes a 90 page book that reveals tips and secrets of the pros. 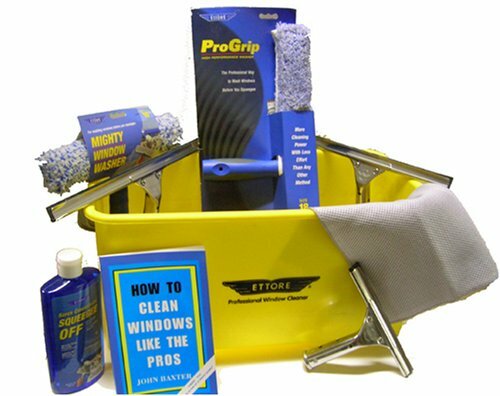 Quality Ettore tools combined with a few extras like the book and the high-tech microfiber detailing cloth will be sure to help your windows shine like never before. Sure to please the do-it-yourself person. Excellent gift for the hard to buy for.